Having impeached Andrew Johnson three months earlier, the US Congress fails to convict the president of ‘high crimes and misdemeanors’ stemming from his refusal to go along with Civil War Reconstruction. A Senate trial acquits the first US president ever impeached of all charges. Andrew Johnson was the 17th President of the United States, serving from 1865 to 1869. Johnson became president as he was vice president at the time of the assassination of Abraham Lincoln. A Democrat who ran with Lincoln on the National Union ticket, Johnson came to office as the Civil War concluded. The new president favored quick restoration of the seceded states to the Union. His plans did not give protection to the former slaves, and he came into conflict with the Republican-dominated Congress, culminating in his impeachment by the House of Representatives. The first American president to be impeached, he was acquitted in the Senate by one vote. 1827: In 1827, at the age of 18, he married 16-year-old Eliza McCardle, the daughter of a local shoemaker. 1829: Johnson helped organize a mechanics’ (working men’s) ticket in the 1829 Greeneville municipal election. 1868: In January 1868, the Senate disapproved of his action, and reinstated Stanton, contending the President had violated the Tenure of Office Act. 1868: Stanton refused to leave his office, and on February 24, 1868, the House impeached the President for intentionally violating the Tenure of Office Act, by a vote of 128 to 47. 1875: Returning to Tennessee after his presidency, Johnson sought political vindication, and gained it in his eyes when he was elected to the Senate again in 1875 (the only former president to serve there), just months before his death. Mao Zedong, China’s Communist Party chairman, issues his ‘May 16 Notice’ condemning the growing influence of capitalist elements in the government, and he calls for a purge. The resulting ‘Cultural Revolution’ will lead to the destruction of important landmarks, torture, and murder. The Cultural Revolution, formally the Great Proletarian Cultural Revolution, was a sociopolitical movement that took place in China from 1966 until 1976. Set into motion by Mao Zedong, then Chairman of the Communist Party of China, its stated goal was to preserve ‘true’ Communist ideology in the country by purging remnants of capitalist and traditional elements from Chinese society, and to re-impose Maoist thought as the dominant ideology within the Party. 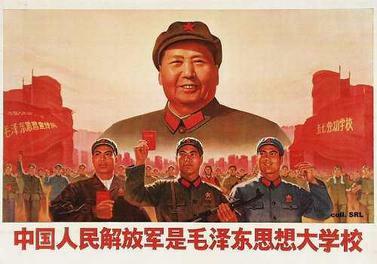 The Revolution marked the return of Mao Zedong to a position of power after the Great Leap Forward. The movement paralyzed China politically and negatively affected the country’s economy and society to a significant degree. The Beach Boys release ‘Pet Sounds,’ which showcases Brian Wilson’s elaborate production and personal approach to songwriting. The album is not an instant smash in the U.S., but will go on to influence the experimental sounds of the psychedelic-rock era and generations of musicians to come. Pet Sounds is the eleventh studio album by American rock band the Beach Boys, released on May 16, 1966. It initially met with a lukewarm critical and commercial response in the United States, peaking at number 10 in the Billboard 200, a significantly lower placement than the band’s preceding albums. In the United Kingdom, the album was hailed by its music press and was an immediate commercial success, peaking at number 2 in the UK Top 40 Albums Chart and remaining among the top ten positions for six months. Pet Sounds has subsequently gathered worldwide acclaim from critics and musicians alike, and is widely considered to be one of the most influential albums in music history. US Surgeon General C. Everett Koop reports on the addictive properties of nicotine, described as on par with cocaine and heroin. A dedicated campaigner against smoking, his public advocacy will be credited with helping spur declines in cigarette use during his tenure and beyond.